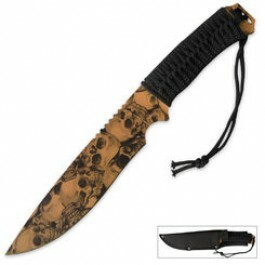 Buy Desert Camo Fighter with sheath , from Budk - RBC VISA for $19.99 only in My e-commerce. 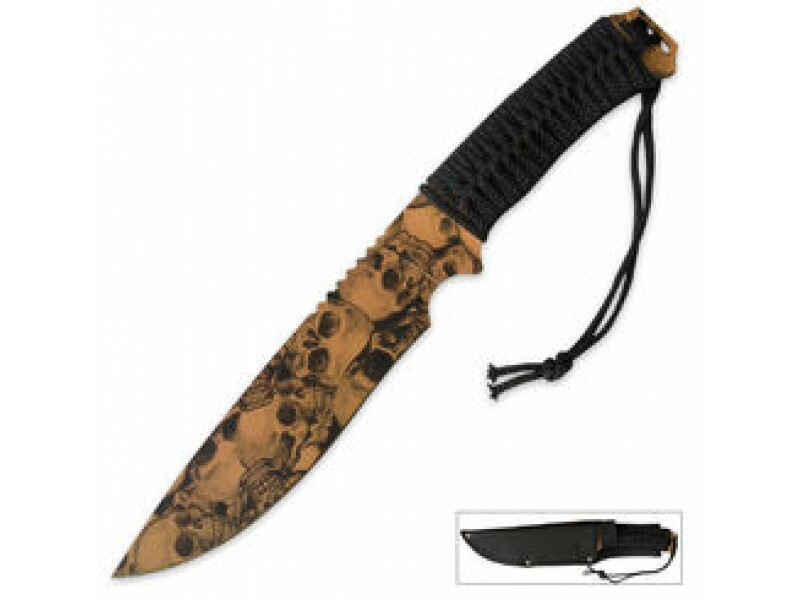 This thick knife is one solid piece of tough, durable stainless steel with a baked on desert camo colored “Dead or Alive” skull design. The razor sharp blade leads to a black, cord-wrapped handle with lanyard. Measures 12” overall. Includes a custom black nylon belt sheath.